5G is a complex mobile technology that operators need to think about now. Mobile operators must understand that preparing for the 5G network can't be left for discussion in the year 2020. The conversation needs to take place now. These are remarks made by professor Thomas Magedanz, from the Fraunhofer Institute for Open Communication Systems, this morning, saying the right time for operators to understand the role of 5G is now. Although some South African operators have only just begun to commercially rollout 4.5G mobile technology, they need to prepare for the 5G technology change, he said. Magedanz was speaking at the Southern Africa Telecommunication Networks and Applications Conference (SATNAC), He said 5G is complex and operators need to start preparing for this network technology. "The preparation for 5G needs to start today; you don't have to wait for 2020. 5G is a software evolution and to some extent also a revolution. "5G is a very agile and software-defined network infrastructure, which is designed to support the Internet of things in particular." He noted 5G is a consequence of evolution of different domains, and this makes the technology complex. "Long-term evolution (LTE) is around and 5G evolution starts with LTE. The evolution of mobile network infrastructure means we are moving towards flat network infrastructure. "The key message is that 5G is not just infrastructure for 2020. 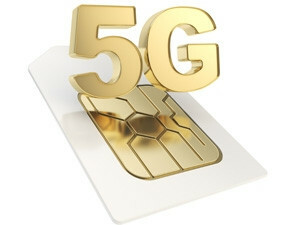 5G starts today with the networks," Magedanz concluded.